The thing about ingredient-aware skin care shopping is that it drastically increases the chances of picking winners instead of ending up disappointed with losers. And after spending a week with my new CosRX Natural BHA Skin Returning A-Sol and Missha Longer Name Ampoule, I’m pretty confident I’ve found two more winners to add to my daily skin care routine. Here are some of my initial thoughts about these products; full reviews to come after I’ve used them for a full month. This A-Sol is one of those interesting products that doesn’t seem to fit neatly into any one category. Its light liquid texture places it in the ranks of toners and first essences, but although it does contain alcohol and has some astringent effects (as well as hyaluronic acid and hydrating effects), it’s much more nourishing than most astringent or hydrating toners. Simultaneously, although it offers some antioxidant nutrition, it doesn’t contain the yeast ferment ingredients that typically characterize a first essence. It has glycolic and lactic acid AHAs and betaine salicylate for a BHA, but in concentrations too low and at a pH too high (4.3, according to Wishtrend) to qualify as a chemical exfoliant. So what the hell is it? It’s freaking awesome, is what it is. 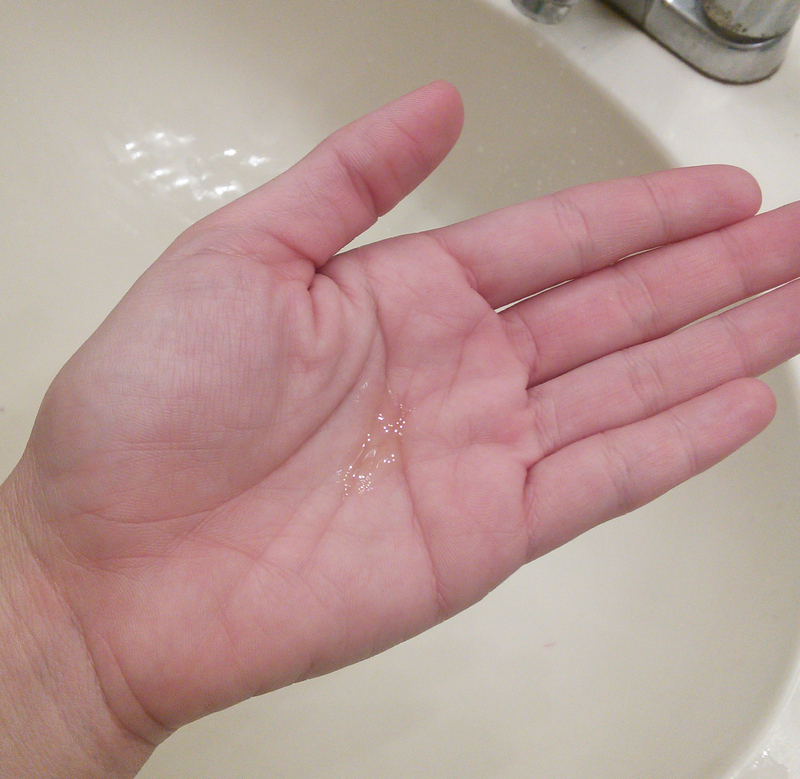 Some people use it as a spot treatment to treat active acne. Others use it as a preventative step. That’s primarily what I do. Morning and night, I swipe a pump and a half of A-Sol over my face; in the evening, it doubles as a pH-lowering toner as well to better prepare my skin for my C21.5 vitamin C serum. The A-Sol is ever so slightly thicker and more viscous than water, with a bit of slip and a strong tea tree fragrance that fades fast. I didn’t quite know what to expect from this A-Sol at all, but I have to say that I’m really impressed with it so far. I have a few spots of very persistent redness: one on either side of my nose and a patch on my chin. The redness isn’t acne or broken capillaries; I think it’s just constant irritation from Mr. Crazy Snail Lady’s rugged face scruff. And nothing I’ve used in the last year or so has been able to take that redness down by much on a daily basis. My A-Sol, however, has managed to visibly reduce that redness just in the last week. I noticed when I found myself not feeling compelled to add an extra layer of BB cream to those spots in the morning anymore. If that were the only benefit I’d seen from the A-Sol, I’d already be sold, but it doesn’t stop there. In conjunction with the CosRX AHA and BHA products I’m testing out, the A-Sol has noticeably refined my skin texture and helped minimize the appearance of my pores. I haven’t felt the need to do my 3-Step Pore Killer since I started using this and don’t think I will for at least a couple more weeks–if ever again. I’m happier with the state of my pores than I have been since I first became aware that pores could be a problem back in my teenage years, and those took place in the 1800s. I’m officially removing the “currently in testing phase” disclaimer on this product’s spot in my official daily skin care routine page. Unlike with the A-Sol, I knew exactly what to expect out of the Missha Longer Name Ampoule, having already gone through a bottle of the original Long Name Ampoule. The new Borabit (means “purple,” apparently, since many Koreans refer to the Science Activator Ampoule as the “purple bottle,” according to Missha) formulation changes up the mix of ferments a bit and, more importantly, increases the amount of retinol in the product. Theoretically, the formulation changes should boost the Science Activator Ampoule’s antioxidant, anti-wrinkle, hydrating, brightening, smoothing and plumping abilities. Same bottle, one more word on the front and a little band of writing on the cap. Fancy. A product like this doesn’t produce overnight results. It takes time to see the benefits of retinol or any other anti-aging active. After a month with the original recipe, however, I had begun to notice a distinct smoothing out of the wrinkle precursors around my eyes, and I’ve continued to see that effect, particularly on my eyelids, where I only use Longer Name Ampoule and my Neutrogena retinol eye cream. The slight crepiness that I was beginning to notice at the end of the day has eased significantly, and my lids are reverting to the smoothly monolidded state that they were in before aging and daily eyelash curling turned them into semi-double lids. Looks about the same as the original recipe Long Name Ampoule. I find the texture of Longer Name Ampoule a little easier to work with than that of its predecessor. While the ampoule still looks the same–a thick and viscous pale gold liquid, a little bit like honey–it’s a bit thinner and doesn’t dry down to the slightly sticky finish of the old version. I like this, as for me, the one major drawback of Long Name Ampoule was that it always felt sticky and never seemed to fully dry down on my face unless I waited a good half hour. With Longer Name Ampoule, I can pat it in as I would any other serum and feel that it absorbs nicely and without a residue. Somewhat disappointingly, however, the Longer Name Ampoule doesn’t have the pleasantly spicy fragrance that I’d liked in the Long Name Ampoule. Despite that, however, this product definitely deserves a promotion out of testing status, too. Have you tried CosRX Natural BHA Skin Returning A-Sol or Missha Time Revolution Night Repair Science Activator Borabit Ampoule yet? What are your thoughts on these products? Ah, my longtime lover A-sol. 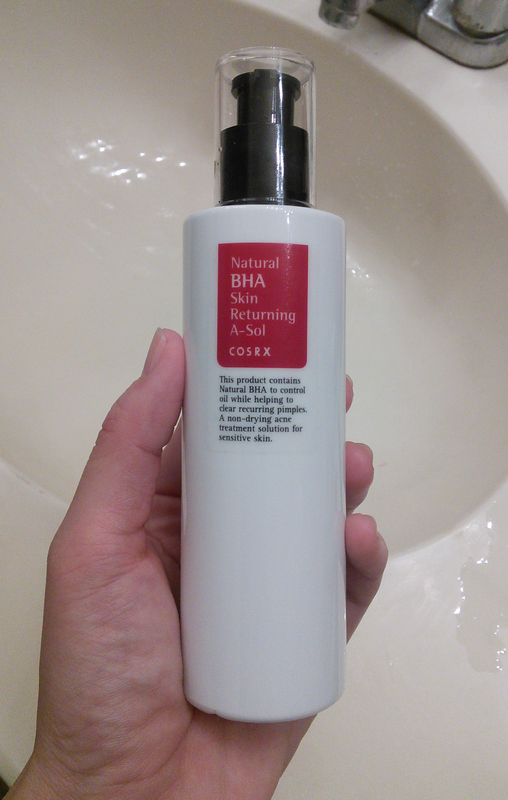 I have gone through 1 1/2 bottles and will forever be repurchasing this – this stuff is amazing. Basically healed my chronic cystic acne in 2-3 weeks and now keeps my face free from most nasty stuff. It’s deep deep love. (BTW, did they change the packaging or does it only look solid white in your pictures? Because the bottle I have is semi-seethrough.) Haven’t tried the Missha Long Ampoule yet because I was very disappointed in their FTE but the new formula indeed sounds nice! Sam! Sorry I forgot to answer your question! Yes, my bottle is solid white. I’m assuming that your bottle is milky/transparent like the AHA and BHA bottles? Maybe the new opaque bottle helps to preserve the ingredients for longer (thinking of the apple water mostly). How long does it take you to finish a bottle of this, and how many pumps do you use at a time? Wonderfully written! Explanation was clear and helped me decide that both products would work well in my routine. Especially loved how you incorporated how you use use these products. Could someone use the Missha serum along with their prescription tret? Or would that be too much? 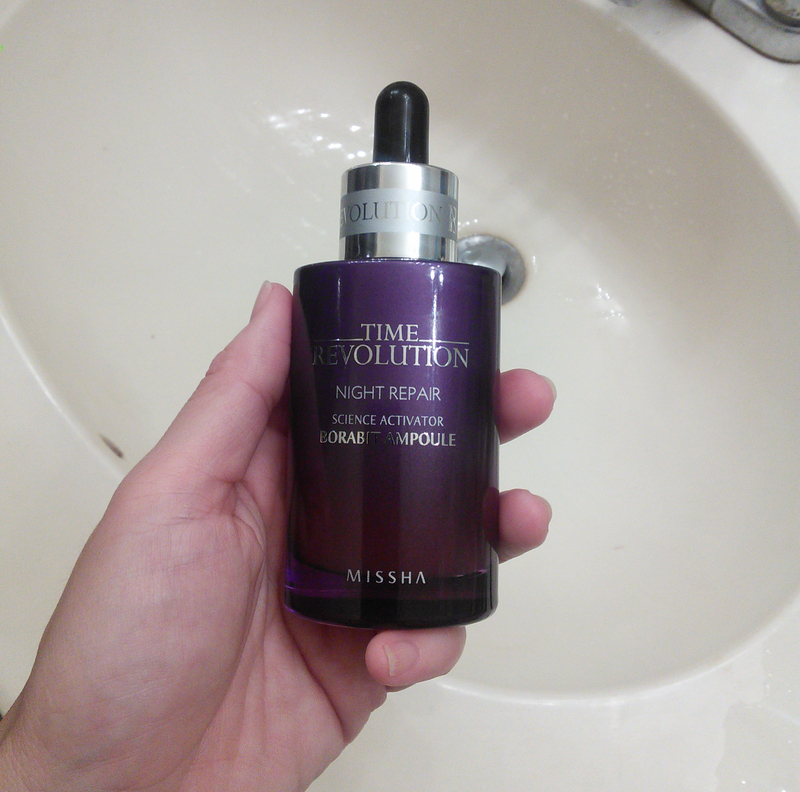 Is gold-capped Missha Science Activator Ampoule for more drier AGING skin than silver-capped? Damn autocorrect in last comment!